The LEAF has a built-in charger that is rated at either 3.3 kW or 6.0 kW delivered to the battery“2013 Nissan Leaf Press Kit”. 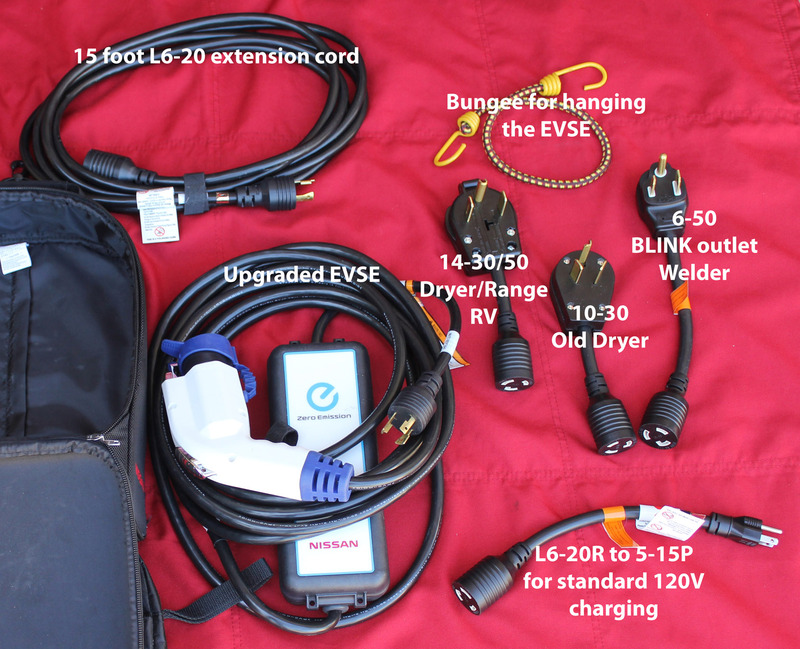 (The external “charger” is actually the Electrical Vehicle Supply Equipment (EVSE). It is essentially a switch with some built-in intelligence, not a “charger”.) The charger is liquid cooled: see “Drivetrain“. This charger can accept alternating current from 100 to 130 volts (level 1) and also from 200 to 250 volts (level 2). 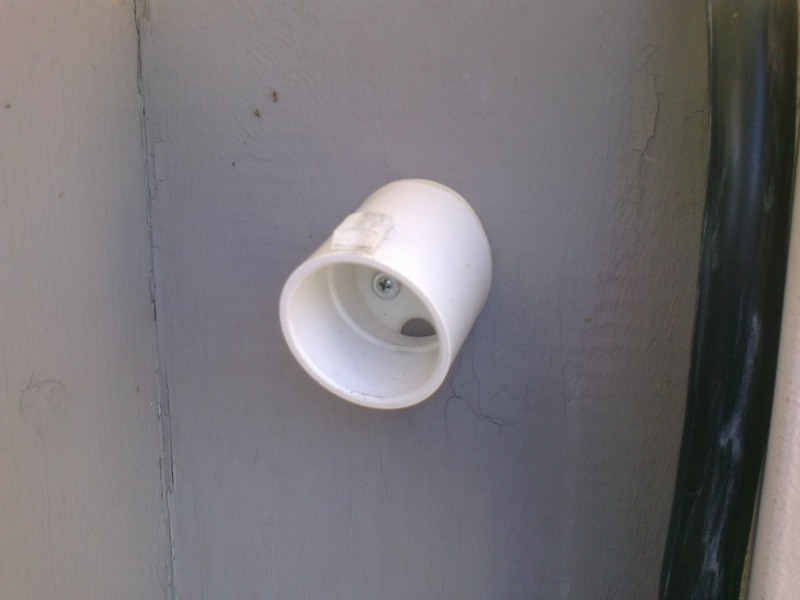 It sends direct current to the battery at a variable voltage in the neighborhood of 400 volts. It communicates with the Li-Ion Battery controller, which specifies current levels that vary during the charging. The charger meets those levels by dynamically adjusting its output voltage. 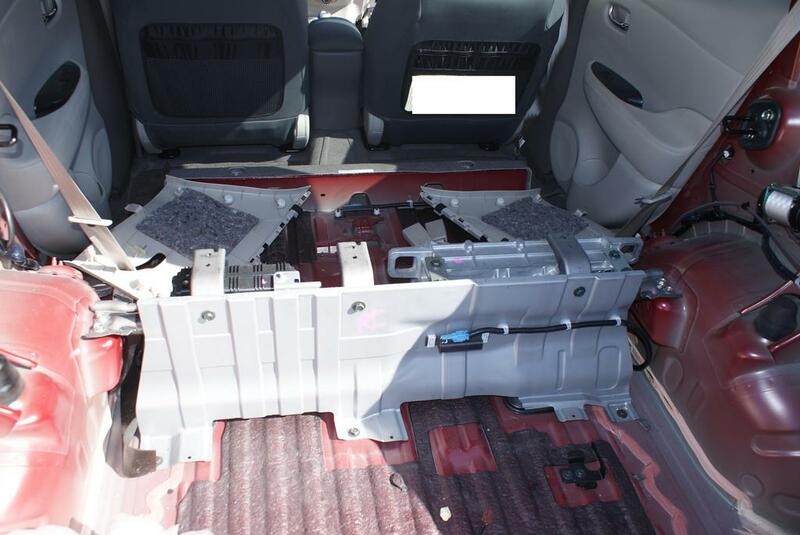 For 2011 and 2012 the charger was located within the hump behind the rear seats. For 2013 it was moved to the front of the car and is part of an integrated stack sitting on top of the motor. All LEAFs have a SAE-J1772 Level 1/Level 2 charging port. 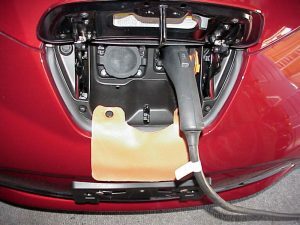 Some LEAFs also have a CHAdeMO DC quick charge port “Nissan LEAF Will Include Fast Charge Capability and Emergency Charging Cable at Launch“. 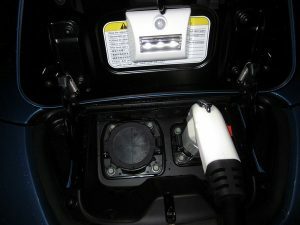 For 2011/2012 LEAFs the quick charge port was optional on the SL model and not available on the SV model. For 2013 it is standard on the SL and available as an option on the S and SV. This port cannot be added after the LEAF is manufactured. The U.S.-market J1772 is substantially different from ones for other markets. AC Line 1 and AC Line 2 pins are of the same size. Proximity Detection pin and Control Pilot pin are of the same size. Note that not all J1772 plugs are created equal. Here is an account of a non-UL approved J1772 plug getting stuck in a LEAF, though later plugs from the same manufacturer (Dostar) apparently work fine. 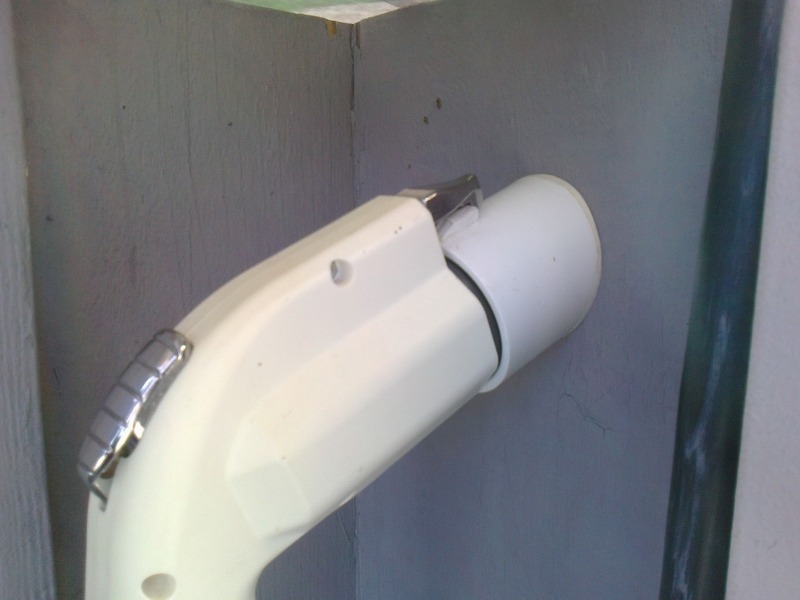 The J1772 charge gun’s latch button has an interlock such that, when plugged in and powered, pressing the latch (to remove the charge gun) will cause the car to immediate stop drawing current. Info on charging in LEAF Owner’s Manual: “Overview” / “Efficient use of your vehicle” / “Li-ion battery life” section. 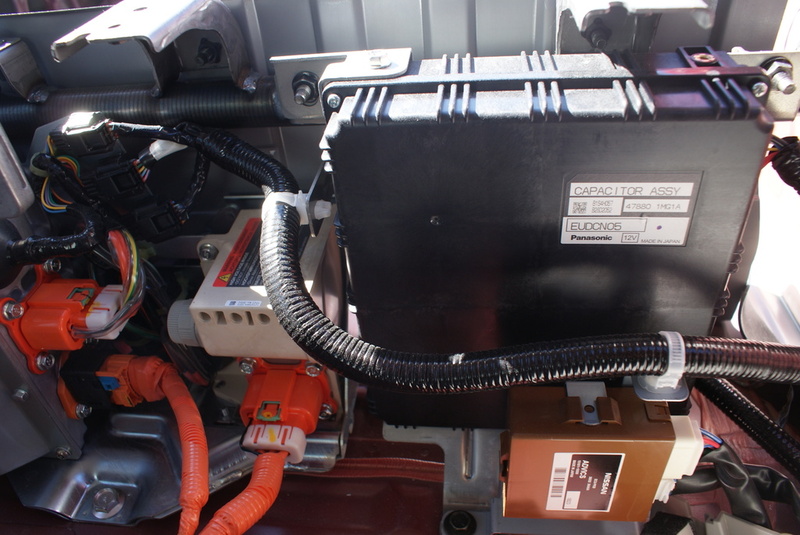 NISSAN recommends charging the Li-ion battery using the long life mode to help maximize the Li-ion battery useful life. Long life mode can only be set using the charging timer function. The long life mode is set by changing the % Charge to 80% Charge (Improves Battery Longevity) using the following procedure.” , page CH-22. Furthermore, the LEAF’s warranty includes an exclusion regarding Li-Ion battery being charged full on a daily basis “despite the lithium-ion battery keeping a high state of charge level (98-100%).” , page 9. Allow the battery charge to be below at least 80% before charging. Avoid leaving vehicle for over 14 days where the battery charge state is zero or near zero. Allow the vehicle and Li-ion battery to cool down after use before charging. If vehicle will not be used for long period of time, NISSAN recommends charging with “long life mode” (charging only to 80%, see above) and to charge once every 3 months , page EV-23. Information on various plug types: configuration, voltage, compatibility, etc.. Illustration: types of NEMA plugs. Regeneration charging does not happen if battery’s state of charge is 100%. Does the Leaf do “cell balancing” when charging? The answer appears to be yes. A calculator for calculating minimum required wire gauge size for a conductor run’s length, given wire type (copper or aluminum), voltage (120, 208, 240, 277, or 480), length of run, and total circuit amperage. 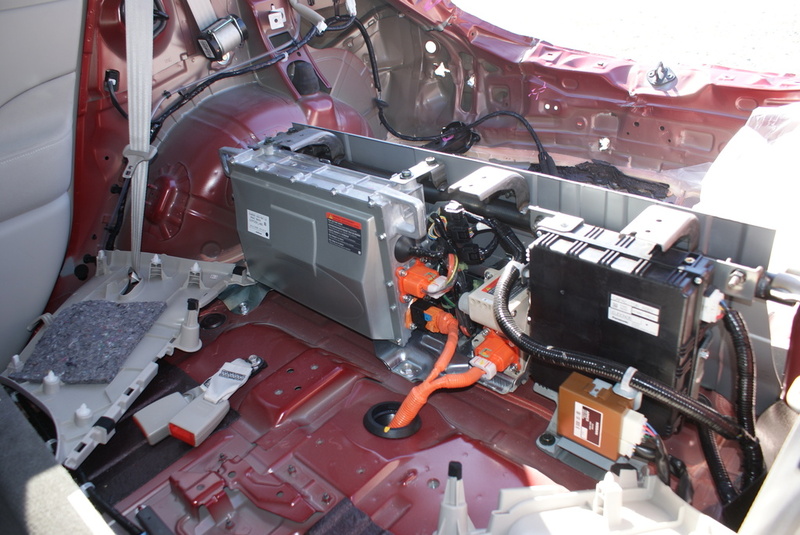 A new quick-charge standard being proposed by the SAE. Video: A great method for winding long extension cord without twisting it; the useful bit is at 2:25 – 2:40. Information and circuit diagram for a DIY 120V-to-240V converter. A source for custom-made plug-and-connector as well as connectors; also Google for, for example, “NEMA+L6-20” “NEMA+10-30” (quotes required). How to use a bungee cord & zip ties to fashion a support strap for the OEM EVSE’s “brick”. Fails to charge on Schneider and ChargePoint’s Coulomb EVSEs but does charge on AV EVESE’s and OEM L1 EVSE. Another report: failed to charge on a Blink EVSE, but does charge with the OEM EVSE on 120V. There is a report of LEAF’ charger failing the diode check (which ascertains that the handle is actually connected to the car). The OEM L1 EVSE and AV EVSE’s do not do this check, so they can charge the LEAF. 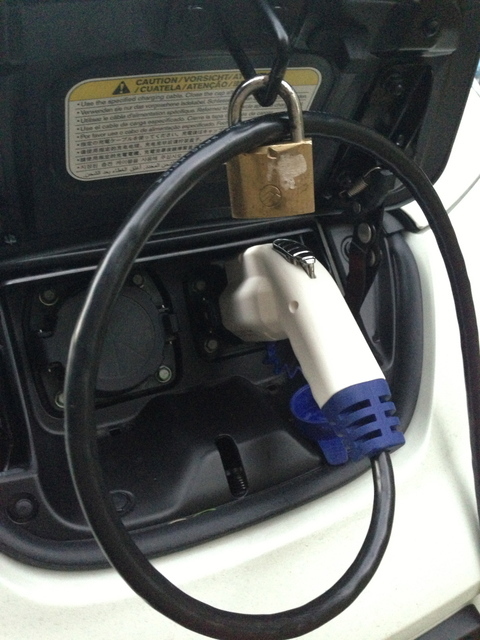 A Blink EVSE does do the check, which the LEAF’s charger fails, so the Blink EVSE would not charge the car. Analysis leads to a failed diode; the fix was to put in a new on-board charger.